Spelt is a grain in the wheat family. Bread made from spelt flour is sweeter and nuttier than bread made with wheat. Some people who cannot tolerate wheat products can eat spelt. Mix the water with the yeast and agave and make sure it bubbles. This will take a minute or so. Stir in 2 1/2 cups of the flour until there are no lumps. Cover and let it stand for 30 minutes, or until double in size. For a lighter loaf, stir it down and repeat this step. Stir in the salt and oil and gradually another 1 1/2 cups of spelt flour. When the dough develops into a stiff ball, it is time to knead. Use about another 1/2 cup of spelt flour to finish the kneading. Add the flour very slowly. When the dough no longer sticks to the counter after a few kneads, it is finished. Kneading will take between 10 and 20 minutes. Oil the mixing bowl, put the dough in, oil the top and cover. Let it rise for 45-60 minutes, or until double in size. If the room is cold, you may want to put into a warm (110 degree) oven. After the dough has doubled in size, punch it down to degas it. Repeat this step for a lighter loaf. Lightly oil the bread pan. To form a loaf: make a ball, pull the sides in to form an oblong shape and then pinch the seams along the bottom and sides. Place the dough in the pan, lightly oil the top and set aside to rise for 30-40 minutes, or until double in size. Do not let it rise for too long as that may cause the bread to fall or the top crust to separate. Preheat the oven to 400. Bake for35 minutes. When the bread is finished baking, take it out of the oven, let cool for 5-15 minutes and remove it from the pan. Place on a cooling rack or across the top of the pan. The bread will keep for several days at room temperature. Place in an air-tight bag and keep for up to a week in the fridge or a couple months in the freezer. 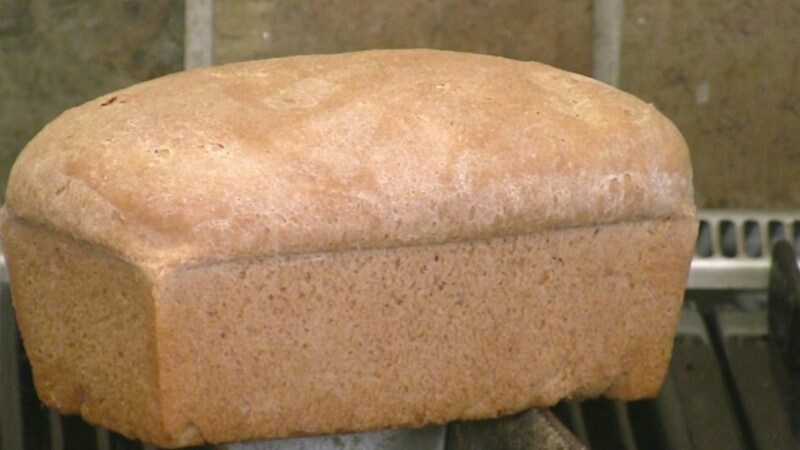 Watch the video How To Make Whole Wheat Bread for more details on bread making.